If you have formatting problems with your Samsung external HDD .Download Samsung external drive Format Utility 2014 and format your hard disk . Hello My friends , today i bring to you a great tool for formatting USB external Hard Disk .If you buy Samsung External HDD and you have format problems with it so you must use Samsung external drive Format Utility 2014. Samsung external drive Format Utility 2014 is a great format tool designed for Samsung external hard disk.Samsung Format Utility 2014 support formatting with FAT32 and NTFS file System .Samsung Format tool 2014 can reformat all USB drives that produced by Samsung . 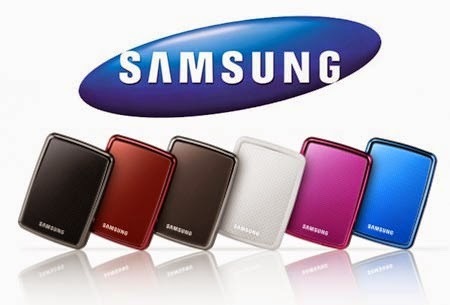 To format Samsung External hard disk ,you must ensure the Samsung external drive is connected to your system..
Download Samsung Format Utility 2014 from the download links below . 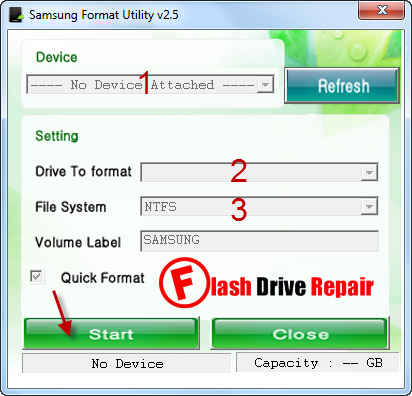 Open Samsung recovery tool , choose your hard disk drive to format . Choose the file system format NTFS or FAT32 . If you want to make full format so remove the remark on "Quick Format " . Press Start to begin formatting your Samsung External Hard Disk . Wait minutes until finish format process . Note that , there is manual guide with PDF format in the download folder , you can read it for further information .